At Extreme Movers LLC we know that a move to a new place is sometimes more complicated than easy and we can help to make your move easy and carefree. Extreme Movers LLC offers you great rates, skilled moving services, and top notch movers for the move you need to make! 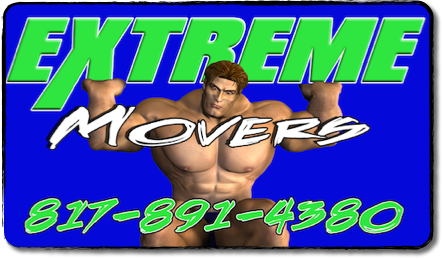 Extreme Movers LLC IS your local mover. 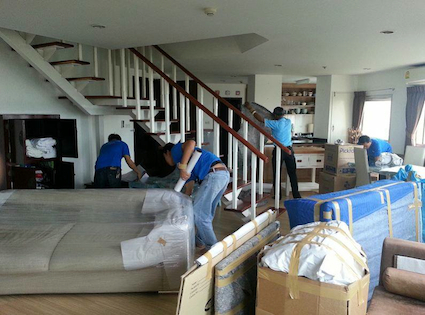 For nearly a decade, we have been servicing your neighbors and relatives to help them move. Extreme Movers LLC knows that a local move can be an exciting, yet sometimes unsettling experience. However, with Extreme Movers LLC by your side, there is nothing to it! Extreme Movers LLC would like to help you understand the way local moving charges are determined. We want to help you get an accurate estimate so there are no surprises on your move day. Call now for a free quote and to answer your moving questions. We will be your moving solution! 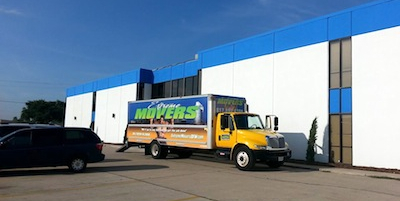 We understand how important your commercial needs are for movers and you want a company that is ready when you are. Extreme Movers LLC is the professionals’ choice when looking for qualified movers and we will complete the job to your specifications by quickly and expertly meeting your commercial moving demands. Our competitive rates help you to get the most out of your move as we quickly finish the job to have you settled and good to go right away. When you require the best, call Extreme Movers LLC for you commercial move. If you are moving from the DFW Metroplex to somewhere else within the state of Texas, Extreme Movers LLC provides statewide moving services. As with any move, Extreme Movers LLC offers the same secure, efficient service across the region as we do in town. We have experience with long distance moving as we have provided people with intrastate moving services for nearly a decade. No matter how far you go, Extreme Movers LLC always takes the utmost care of your valuables, but we understand that long distance moving creates long distance worries about the safety and security of your worldly goods. Along with our other moving services, our statewide moving team will keep you notified of your moving progress so that you can track the location and arrival time of your items. 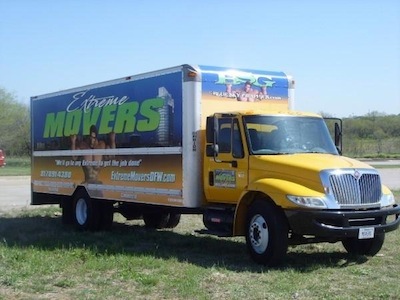 Whether you are moving across town or across the state, Extreme Movers LLC has the experience and capabilities to make sure that you arrive and settle in to your new place quickly and stress-free. Our statewide movers are bonded, licensed, and insured. Moving is one of those things can take twice as long and cost twice as much if you don’t plan ahead. However, if you assess your needs before hand, adopt a packing and moving strategy and stick to it, you will be able to move out of your old place and settle into your new place as quickly and easily as possible. Weeks Ahead!! If you are going to move, you probably know weeks or even a month in advance. As soon as the decision is made, start planning and picking off the little tasks that can be done before the big move. Every little thing adds up and will make things less crunchy at crunch time. Before you ever pack a box you can clean out your closets/storage/garage and donate or sell items you don’t need or want to get them out of the way. Then you can start packing up out-of-season items and non-essentials. •	Forward your mail / change your address. •	Turn off utilities at your old place, turn on utilities at your new place. •	Change the address for your car and renters’/home owners’ insurance. *Let’s talk about scheduling movers here for a minute. You might have some great buddies with big trucks who would love to move you across town for pizza and beer and the pleasure of your company but consider the benefits of Extreme Movers LLC. •	Schedule movers when it’s good for you—we show up on time and stay until the job is done. •	We are fast and stay on task. •	We are professionals and know how to move stuff (and not break it). We know you love them, but can you say the same of your buddies? We restrict access to your Information to employees who we have determined need it in order to provide services to you. We train our employees to safeguard customer information. We maintain strict physical, electronic, and procedural safeguards to protect your Information from unauthorized access by third parties. The material provided on the extrememoversdfw.com website, including the information and any images incorporated in the site, is for your personal private non-commercial use only. You may not modify, republish, post or transmit anything you obtain from this website, including anything you download from the site, unless you first obtain our consent.